Our new study calculating that climate change will strengthen aviation turbulence has caused a stir on social media. Most of the online comments about the article have been positive – albeit expressing a little anxiety at the prospect of experiencing double the amount of severe turbulence later this century. The new paper, as well as our previous study on this topic in Nature Climate Change, was peer-reviewed by international experts in aviation turbulence and found to be scientifically correct. However, as is commonplace in the public discussion about climate science today – at a time when opinions seem to count more than evidence and facts – a small number of non-expert commentators have misunderstood the scientific details and attempted to discredit the findings. Some commentators say they have experienced less turbulence on their recent flights. While we do not doubt such claims, one individual person’s encounters with turbulence are obviously a very small sample from a very large distribution of possibilities. The volume of global airspace sampled by even the most frequent of fliers is tiny. Also, as we have pointed out in a third study on this topic, aircraft bumpiness depends on a number of extraneous factors in addition to the strength and frequency of atmospheric turbulence. Some commentators assert that we “fudge” the input parameters to obtain the answers we want. This is simply untrue, as anyone reading our paper can see. The key input parameters are the fractions of the atmosphere containing light, moderate, and severe turbulence. We know these fractions from detailed in-flight measurement campaigns. Our input parameters are objectively constrained by these measurements. For example, we know that severe turbulence is found in around 0.1% of the atmosphere at typical flight cruising altitudes. This percentage value allows us to define thresholds for severe turbulence in our calculations, and to count how often those thresholds are exceeded when the climate changes. There is no fudging, because the in-flight measurements give us no freedom of choice to do anything other than what we have done. A final source of confusion seems to be the response of the jet streams to climate change. 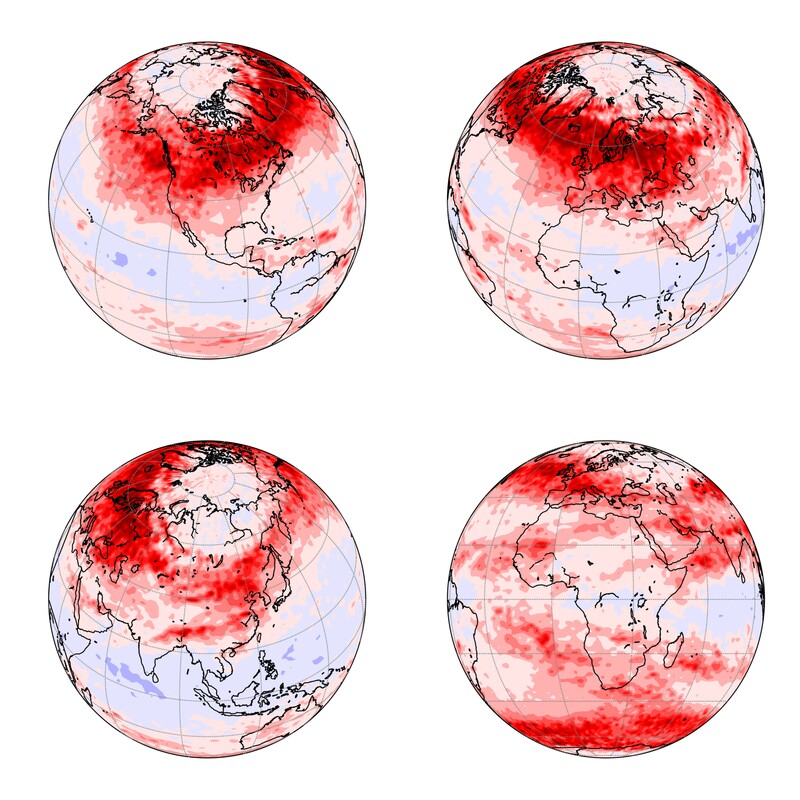 Although much research remains to be done in this area, we know that the jet streams are driven by the equator-to-pole temperature difference: the stronger the temperature difference, the more sheared the jet stream. In the lower atmosphere, melting Arctic sea ice is causing the polar regions to warm more quickly than the tropical regions. Therefore, the lowest part of the Northern Hemisphere jet stream is expected to weaken with climate change. Many online critics mistakenly think the same conclusion applies at flight cruising altitudes. In fact, the opposite is true. In the upper atmosphere, water vapour feedbacks are causing the tropical regions to warm more quickly than the polar regions. Therefore, the upper jet stream is expected to become more strongly sheared with climate change, increasing the fluid-dynamical instabilities that generate turbulence. Our three peer-reviewed studies represent the cutting-edge scientific knowledge regarding how turbulence in the atmosphere is changing, and the impacts those changes could have on aviation. As scientists, that is all we can do.